It's no surprise that whenever I ask people what their favorite venue is in Los Angeles, Hollywood Bowl is consistently mentioned. Nothing really compares to seeing a band you love perform on the legendary stage nestled in the Hollywood Hills and feeling swept up in the energy of being surrounded by nearly 18,000 other excited fans. At the time, Coldplay was definitely one of my favorite bands. They had me from the very first notes of "Shiver" in 2000. 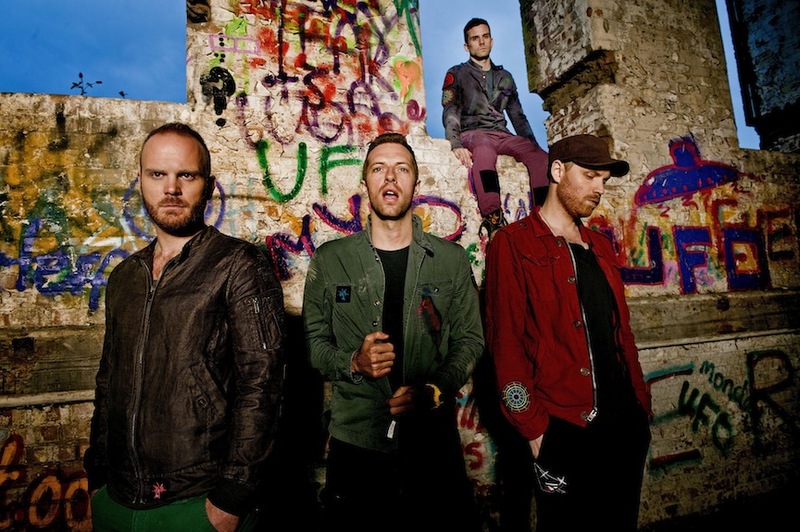 I fell in love with Jonny Buckland's guitar intro, Guy Berryman and Will Champion's laidback cool rhythm section and Chris Martin's heart-wrenching lyrics and unexpected falsetto. As "Yellow" propelled Parachutes up the charts and the group to international acclaim, the album remained in constant rotation on my CD player. With the release of their sophomore effort, A Rush of Blood to the Head, in 2002 and the announcement of a world tour, I couldn't pass up the chance to finally see them play. The Bowl was buzzing with anticipation, and as Coldplay took the stage for the the frenetic intro of "Politik" it felt like an immense jolt of adrenaline shot through the crowd. I had seen them perform on TV before, so I was expecting Martin's piano-bench antics, writhing and grinding à la Tori Amos, but I was delighted by his spastic dancing and jumping all over the stage. He was like a grinning little boy, full of passion for the music. Besides tracks from A Rush of Blood to the Head ("The Scientist," "Daylight," "God Put a Smile Upon Your Face") and Parachutes ("Trouble," "Yellow," "Don't Panic"), they performed a beautiful cover of Louis Armstrong's "What a Wonderful World" and two new songs, "Moses" and "Your World Turned Upside Down." There was a frenetic laser show set to "Clocks," but the most breathtaking moment was more simple: Martin calmly seated at the piano for my favorite Coldplay song, "Everything's Not Lost." As his crooning and tickling of ivories led into Buckland's piercing guitar riff and the entire audience singing "Ah, ah yeah, everything's not lost," tears began to flow. Even when I listen to the song now, thinking back to that night which was so full of amazing energy and music, it's hard not to get a little teary-eyed.